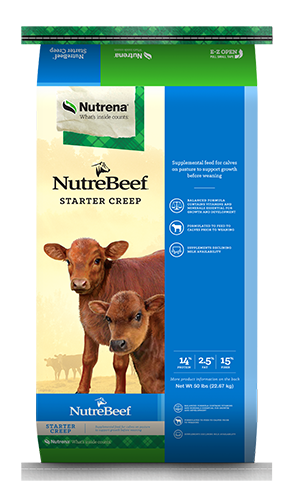 NutreBeef products were designed to meet all the needs of cattle in every stage of development and phase of production. Choose the right ones to keep your herd growing big and strong based on your animals’ performance requirements and dietary needs. Supplemental feed for calves while on pasture before weaning to support growth.